A supply order is a note designed for processes that are involved in any transaction, such as order placings for work or the supply of goods or services towards the community. This is essential for retail industries to keep track of the records for any supply orders that are being placed. Now, when it comes to making a supply order, knowing the basic details to put is essential. If you find it a bit of a hassle to make one from scratch, you can refer to our templates. We offer several supply order templates that you can make use of. Check out more of our samples below. What Are Included in a Supply Order? 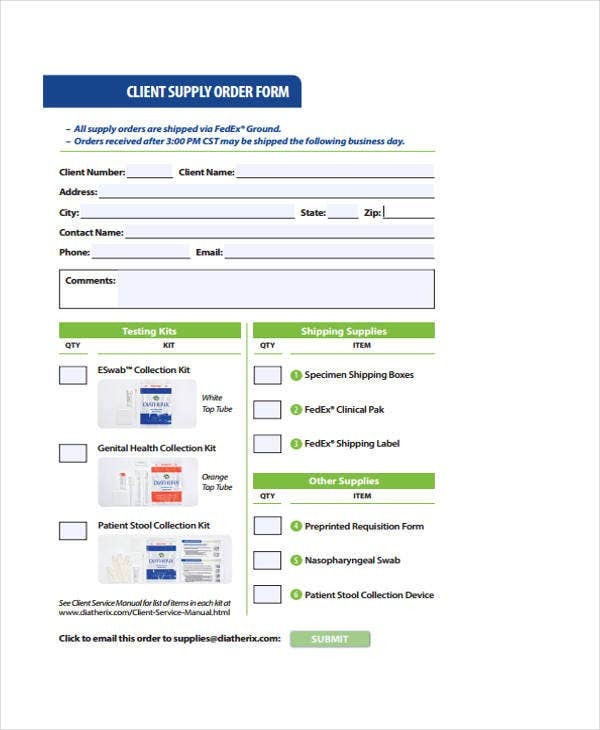 A well-constructed supply order form or note is important for retailers and business owners. This serves as a record of the materials they requested, the cost for each, the total amount, and any other relevant details. 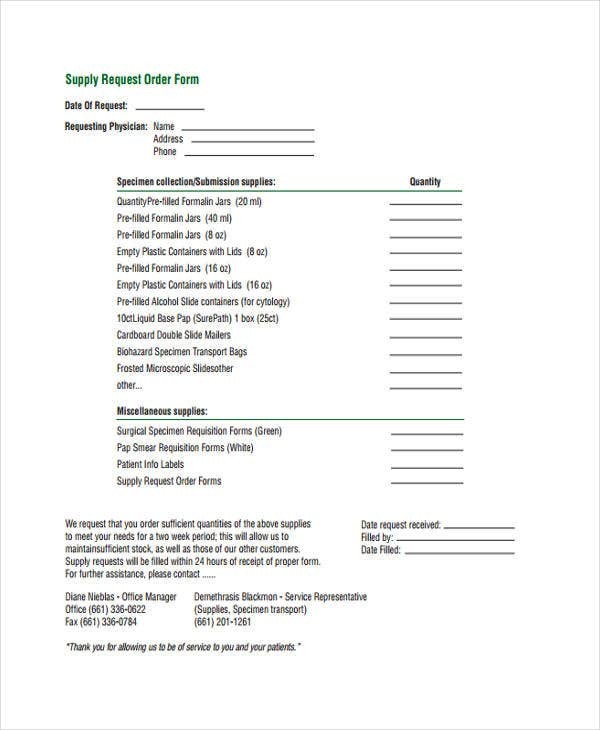 Here are the things you need to include when making your own supply order. Order date, which is when the order was placed. Customer number, which is a unique set of numbers for each customer that every supply order form should have. Contact name and mailing address, where the bill is sent. Item number, a unique number for each item. Quantity ordered, the amount of how many items are ordered. Item description, this is a detail that describes each item. Item price and the total price, the cost of each item and the total amount of all items purchased. Signature, the authorized signature of the purchaser and the seller. 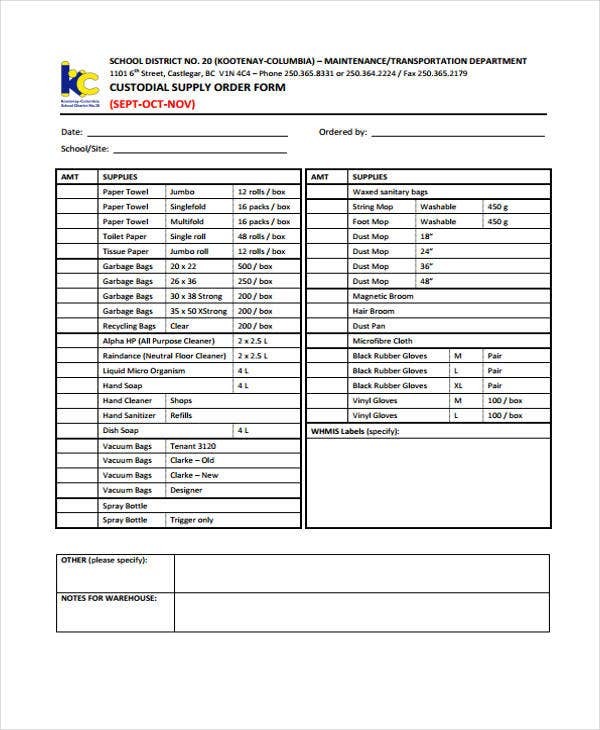 Our supply order template is a best example of a well-constructed supply order. 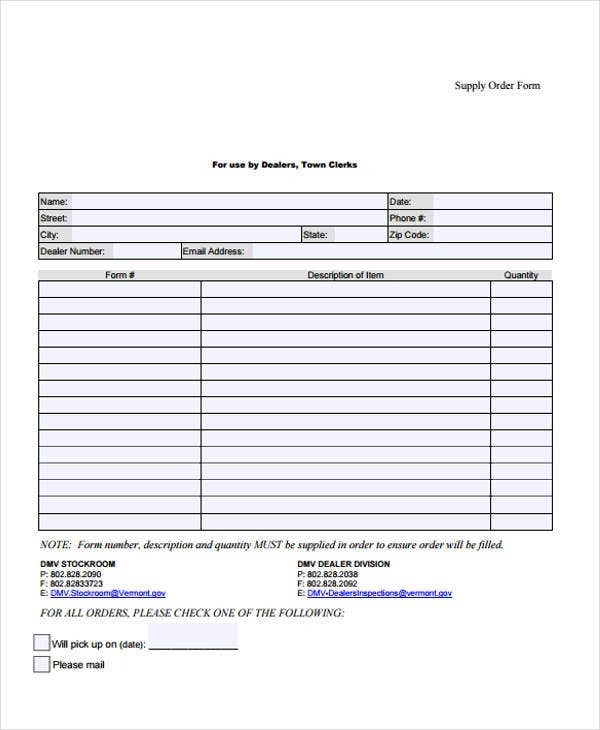 Apart from the sample given earlier, here are more samples of our supply order template that for sure you will need. Select which ones you find suitable. 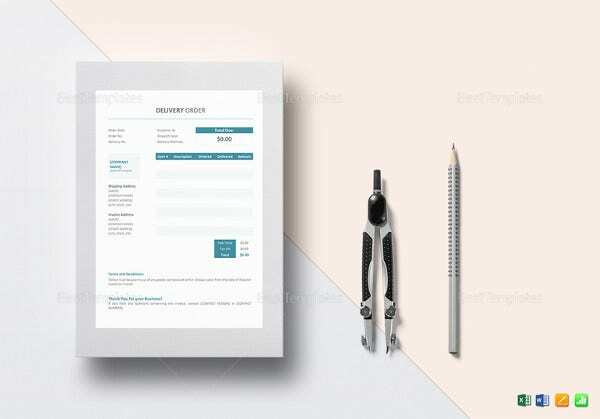 Free Supply Order Template – this is a well-made template and is also free! You can also modify this if there is a need to. This is available for download too! 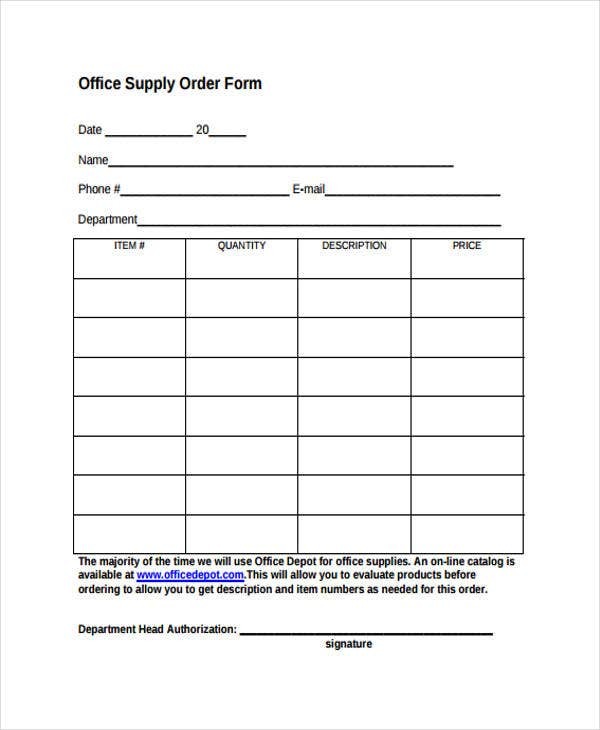 Office Supply Order Template – this is a supply order that is intended for office use. 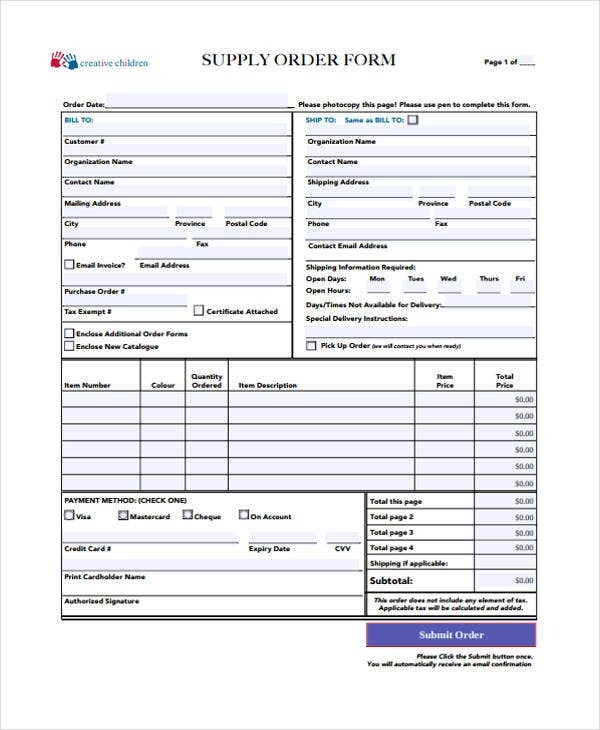 Any office transactions that deal with ordering and purchasing supplies, this is a perfect template to use. 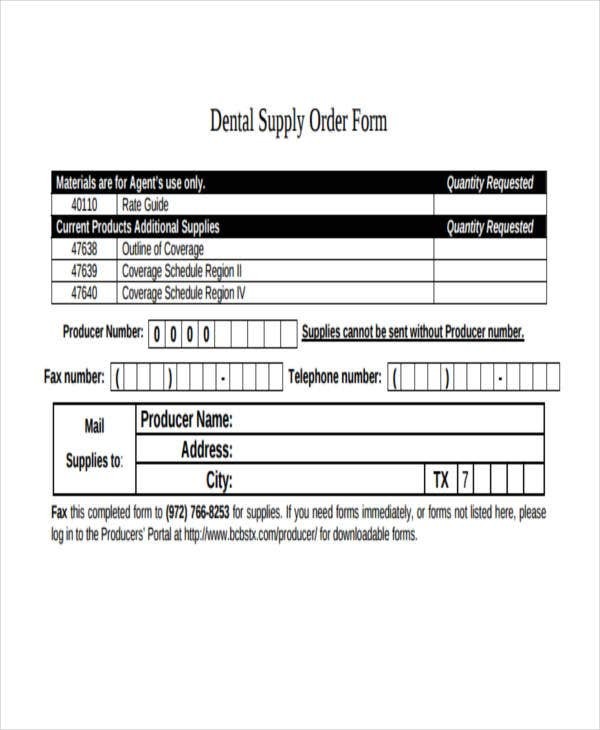 Supply Order for Dental Template – if you’re looking for a supply order that is intended for dental use, this template is a perfect fit. 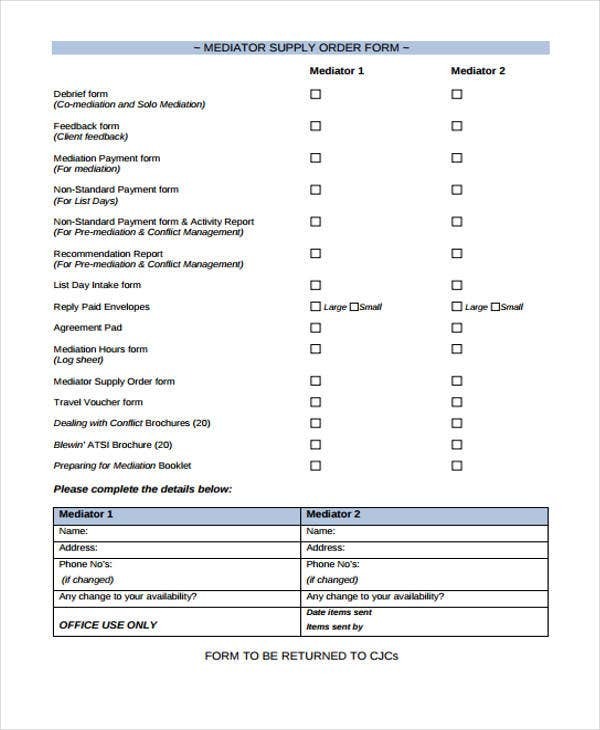 For any dental supply transactions, this is what you need. 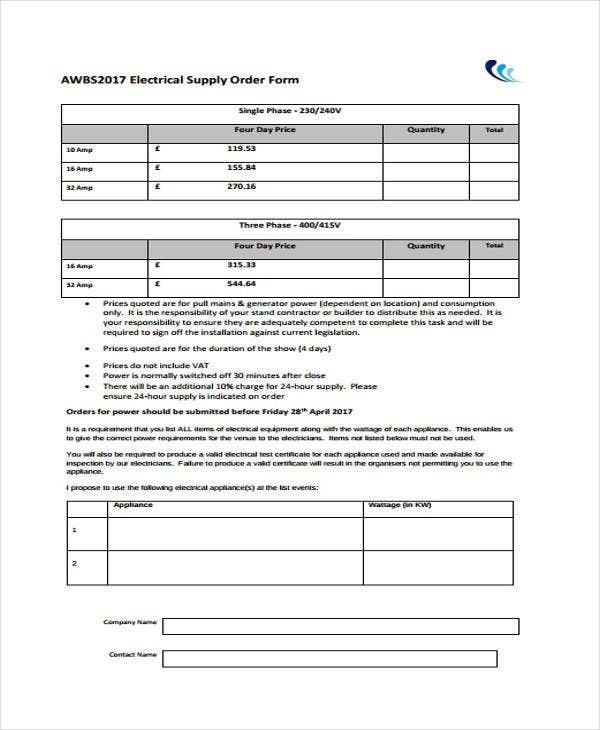 This also contains all details that are essential in a dental supply order form. 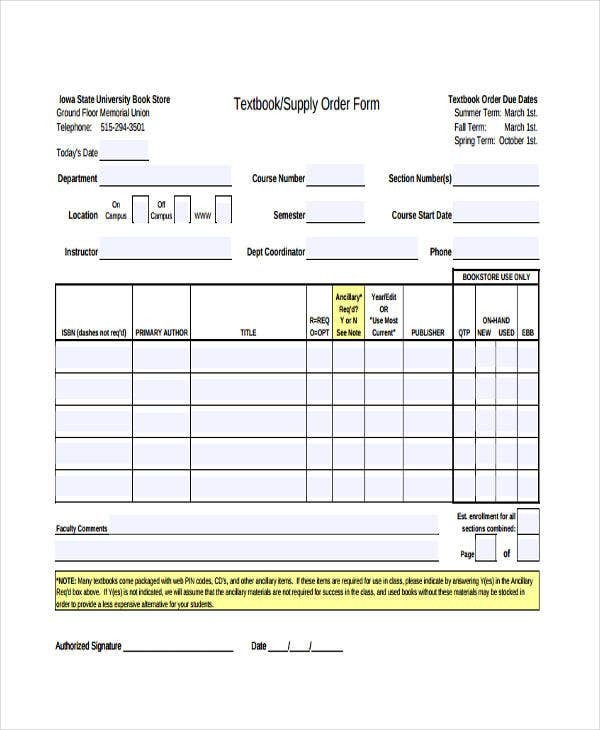 Textbook Supply Order Template – for textbook suppliers, if you’re looking for a supply order that will suffice your order processes, this is the best template to use. Complete with all information that every textbook supply order must have. We also have other available choices, you might want to download our order confirmation template. This is ideal for sending a confirmation of orders that are sent by the producing companies.